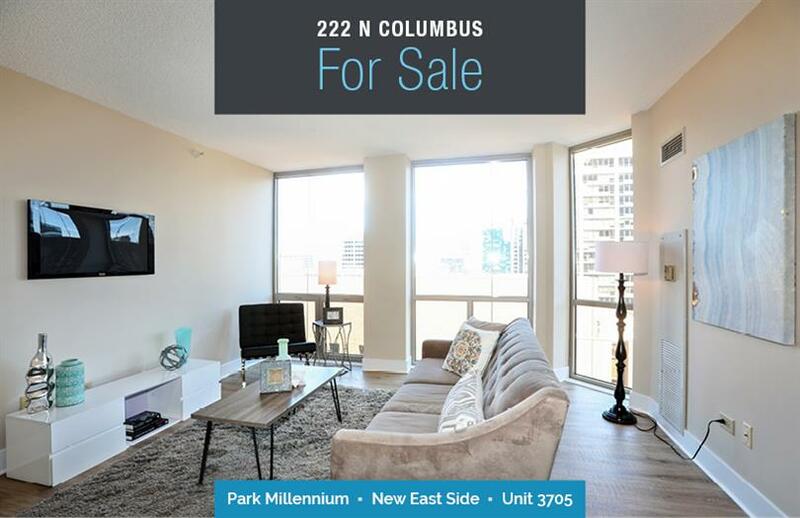 Beautifully remodeled upper level unit within the Park Millennium building boasts views of the city that include the John Hancock building in addition to great views of the River. This Contemporary, very light and bright home features stunning light wood flooring, designer carpet in the bedroom and adjoining master on-suite closet, (laid over memory foam carpet pad). Well-appointed custom closet provides built in drawers and shelving. Designer lighting found through-out. Kitchen features stainless steel appliances, granite countertops and beautiful tile back splash. Washer and dryer closet comes with stackable W/D. Amenities include a 24-hour doorman, indoor pool, fitness center, outdoor terrace sun deck that includes BBQ and lounge area in addition to a business center, conference room and party room as well as dog run! Grocery store attached to building and to pedway. Walking distance to and Grant Parks. Ideal location in between Lakeshore Dr Michigan Avenue.